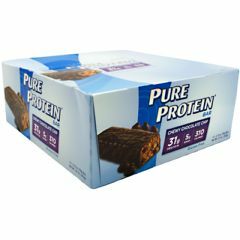 AllegroMedical.com presents The Worldwide Sport Nutritional Supplements Pure Protein High Protein Bar - Chewy Chocolate Chip Protein Bar. 32 grams of Protein. Og Trans Fat. 4g Sugar. Naturally and artificially flavored.